Every USSR citizen was proud of the country’s space exploration program. One of the top Soviet spaceships, called “Buran”, could deliver weapons of mass destruction to the orbit. Discover the destiny of such spacecrafts in today’s Russia. Made as a reaction to American space program, Soviet shuttle could carry more cargo and had a system of emergency crew rescue. Soviet authorities spent on “Buran” 17,8 billion dollars in 1982. 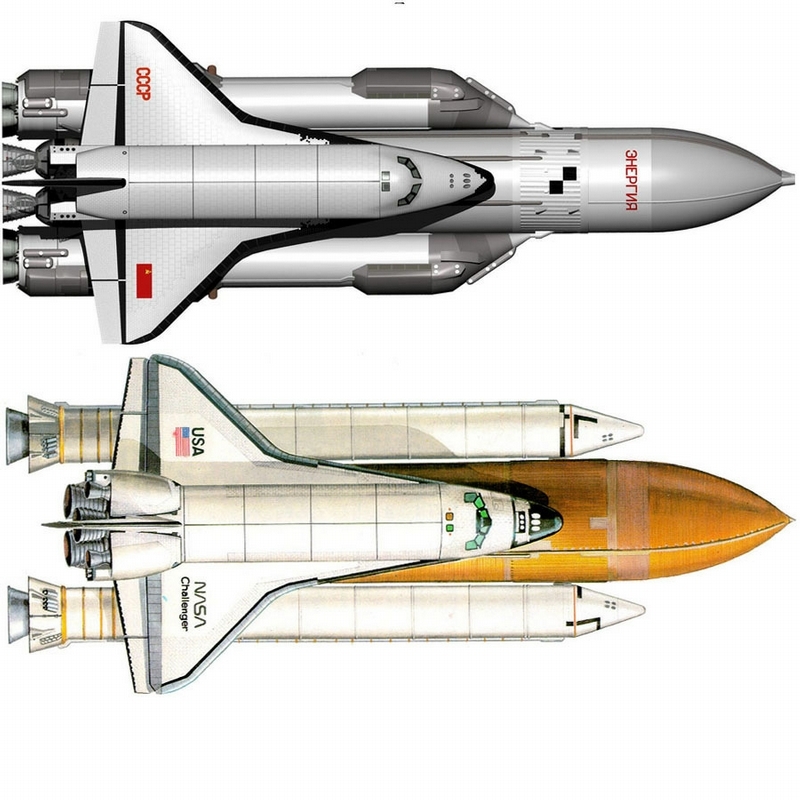 Comparison with the USA space shuttle. Spacecrafts were built in a dormitory area of Moscow. 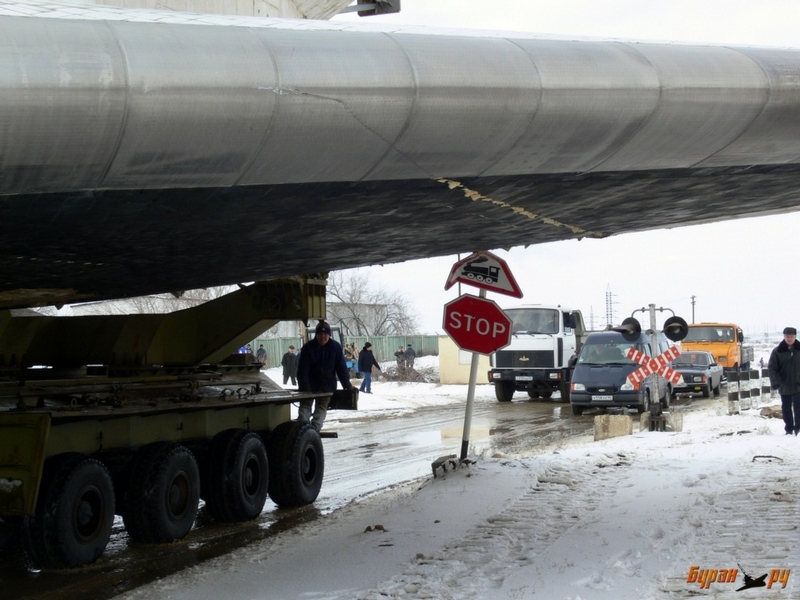 To carry giant spaceships the road was widened from 4 to 8 traffic lanes. It was the only way to transport such a huge machine. Overall there were 14 “Burans” constructed including prototypes. 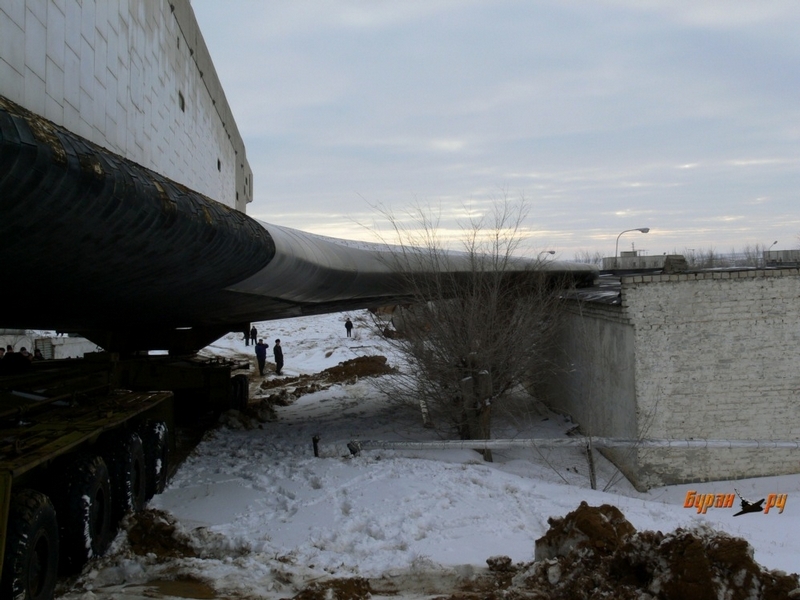 The spacecraft is 36,4 m long, has spread of 24 m, it weighs 105 tons and can carry up to 30 tons of cargo. 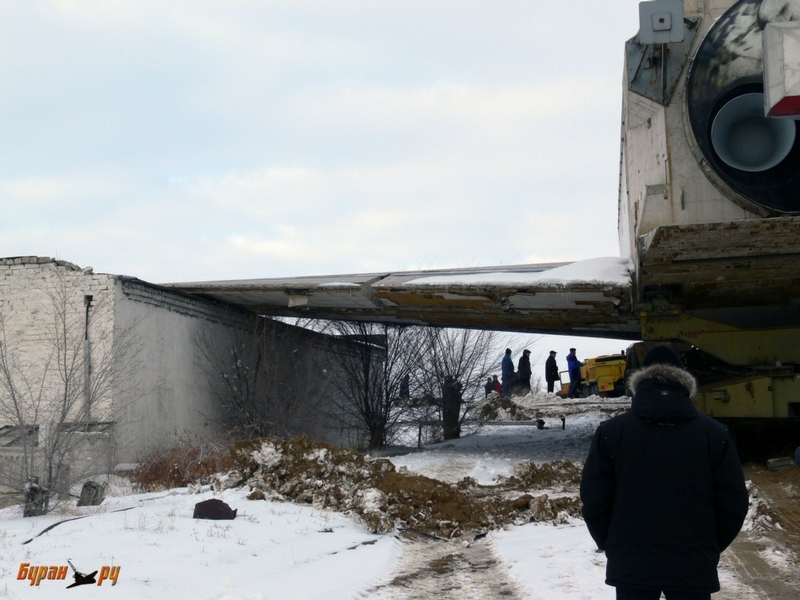 Airplanes delivered spaceships to the cosmodrome. Actually there were only 2 fully functioning “Burans”. 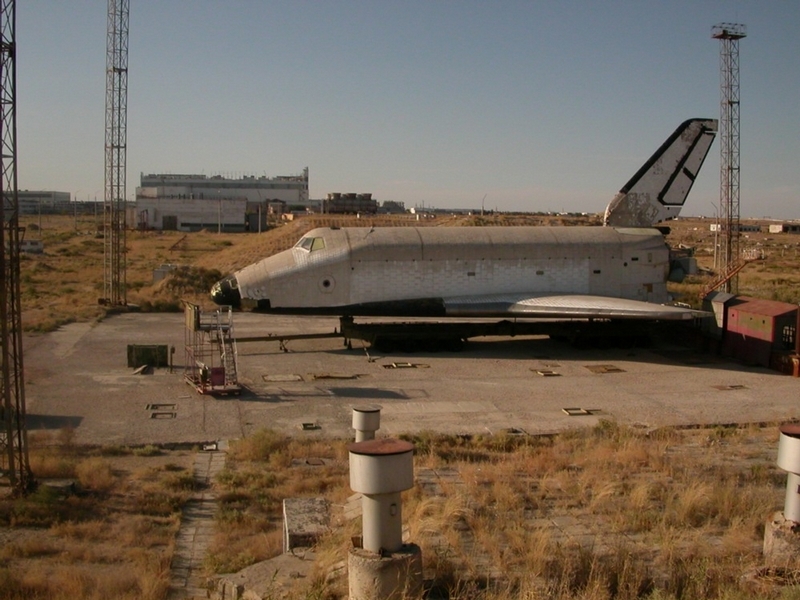 The first has experienced only one space trip and then was put into a hangar for 17 years. It “died” there of the roof that had fallen on it. There were also 4 models of “Buran” spaceship. 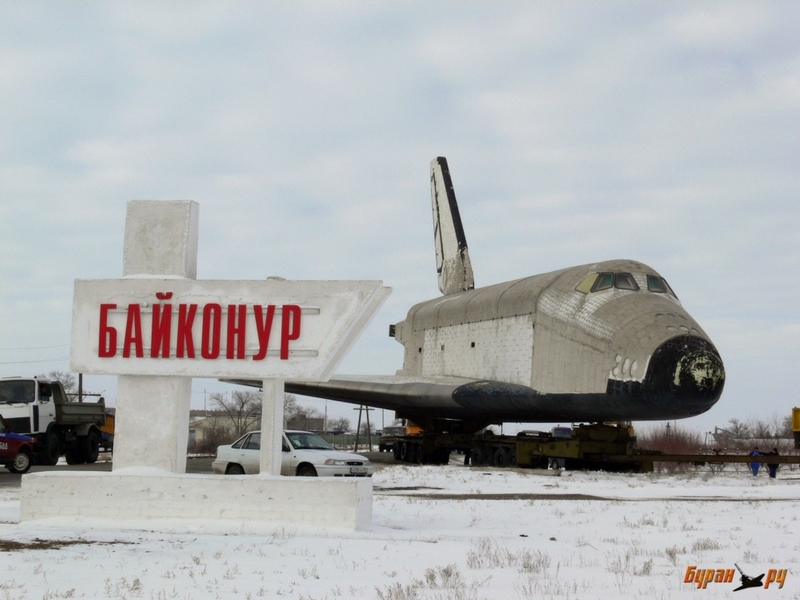 One of them still rests in Baikonur cosmodrome. In the 1990s it was used by local youth for drinking sessions, so some windows are broken and its general condition is very poor. 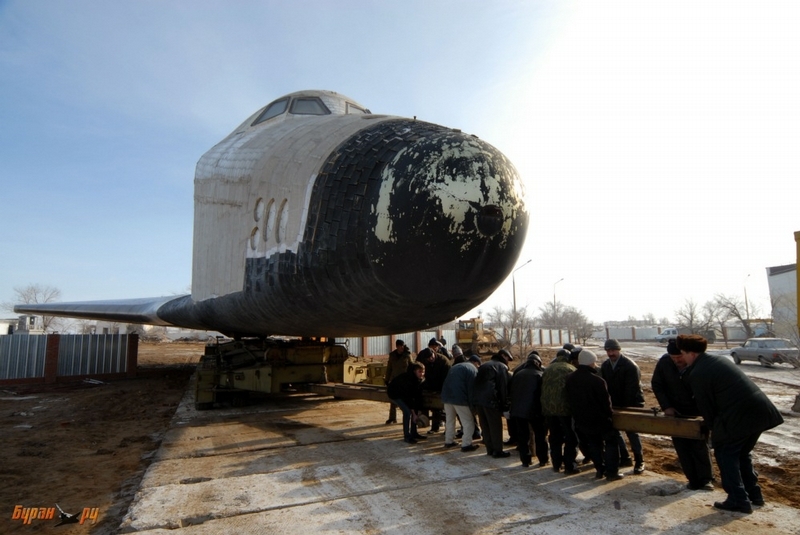 The decision was made to transport this “Buran” to the area next to the cosmodrome museum. That is how the process looked like. OMG this guy was “First”! This is so cool and so original. Defiantly the first time ever seeing this and it is not as old as the internet itself. It also did not stop being funny 12 years ago so please keep posting things like this. WWWHOOOOOOOAAAAAAAAAA second post by the same person as the first post!!!??????? this is crazy, you are a God. I know now the Internet is serious bushiness. You probably crashed the Matrix the first post but the second two the Matrix went down for sure. 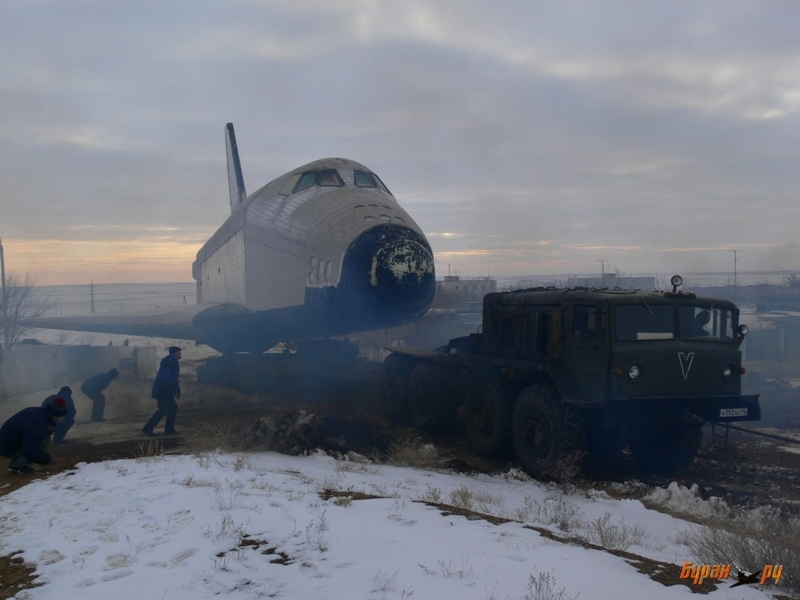 Pictures from this site also: Buran. I am suprised to see it actually went into space. I thought it never did. I can see the American space program saw this and copied it almost exactly. Yup, those silly americans are always copying our automobiles. Why can’t they come up with a design of their own? I came here knowing I’d find the hilarious old lie that the U.S. copied the Soviet design, not the other way around. (The Soviet program began in 1974. NASA began designing the Space Shuttle in 1969.) As with the jet engine and nuclear fission, the USSR only advanced by stealing designs from others. Hopefully that has changed in the modern Russia and the people are unleashed to create gain. As for escape modules, the later shuttles had them after Challenger, but they didn’t do anyone any good in the Colombia. You simply cannot escape when you’re in space. You’re basically living in another dimension. The Soviets did pretty much nothing but copy American automobiles, planes, and space craft. 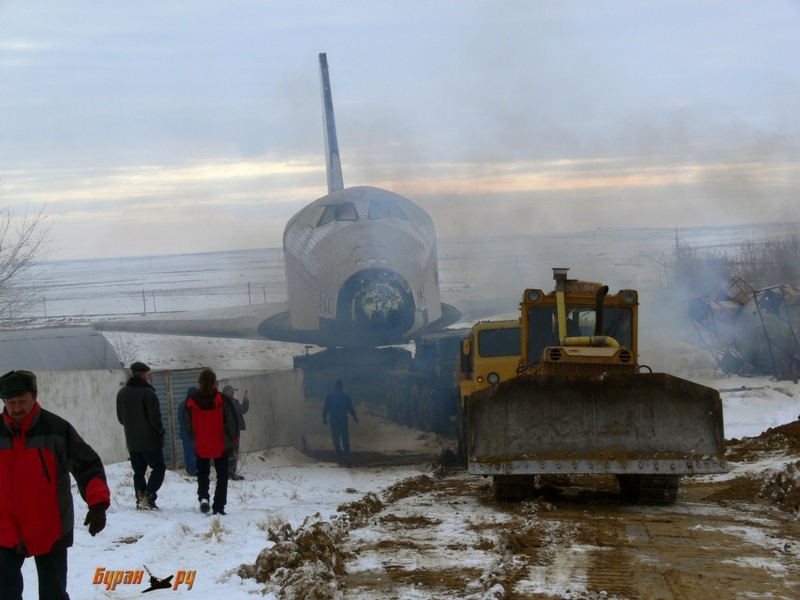 The Buran copied the American space shuttle. The Buran was a failure anyway, it never brought humans into space. Russia stole Americas bombers and nuke designs in the late 40’s… all’s fair in love and war. Sovjet Russia was very advanced in spying and stealing technology. It was very easy, as western inventions were even published in public magazines. 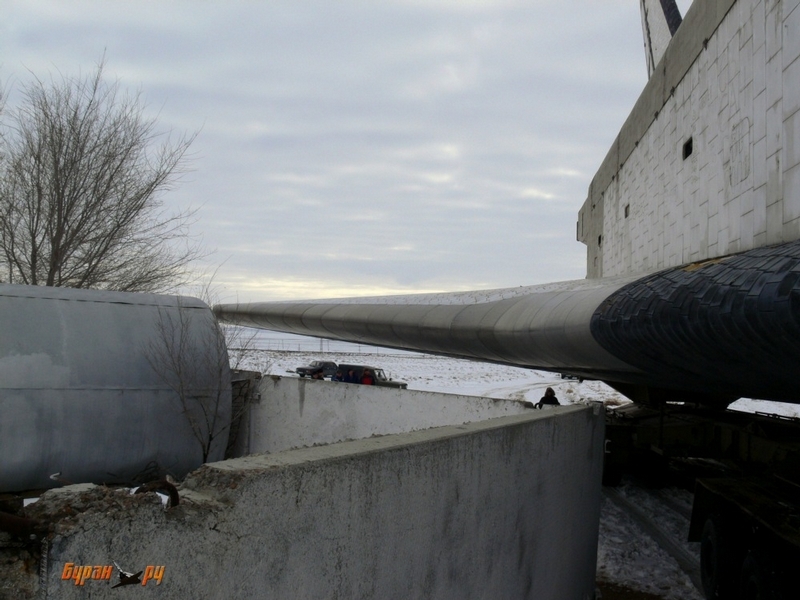 In the other direction, it was very difficult to break into the sovjet industry, even more as agencies like the CIA didn’t knew very much about the inner workings of the Sovjet Union. Anyway, both space programs were based on german scientist. 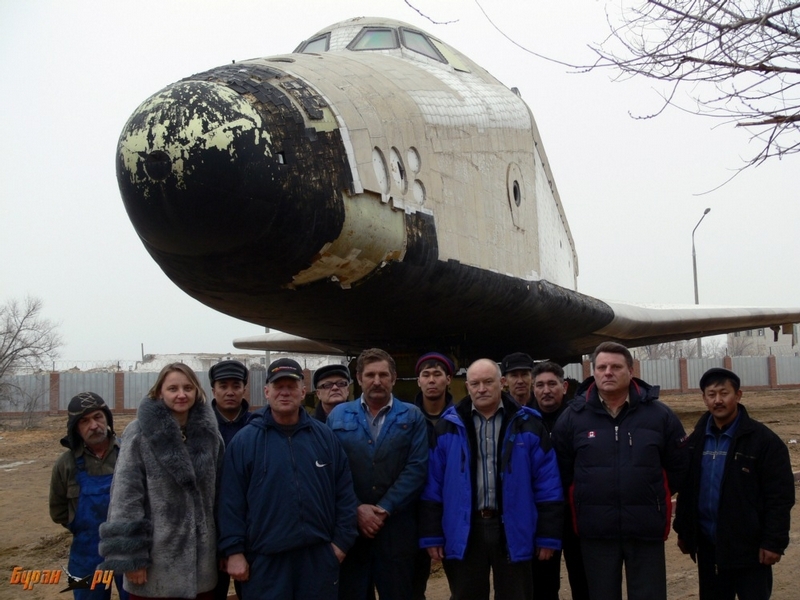 A Russian oligarch should use some of his money to properly preserve a Buran and place it in a decent museum. It shouldn’t rot outside like all the other abandoned things we see here. I say it should be gutted and refitted as a theme restaurant. I’ll call it “Buranch and Dinner”. Good to see a lot of care was taken when transporting to the museum. There’s a restored one in the Speyer Technik museum in Germany. Look at the street sign! Heh, he was using that good old-fashioned sarcasm there. They did a pretty good job of plowing their way through just about everything in its path. yes, much care was used when moving it to new location! a wonder it made it at all. the “new location” is where they dropped it. A. Bunka here. One short flight and kaputsky. Could have been a great thing. 17 built at a cost of billions for one orbit. Everybody here got “cold war feva” (fever), the good old days. Sorry guys we won. This remarkable orbiter vehicle deserves a much better place for people to see. 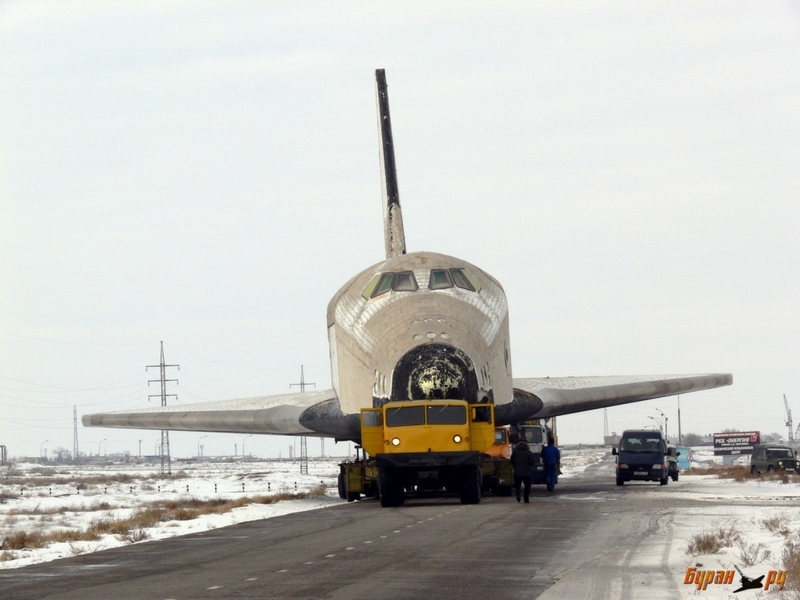 Buran looked cooler than any NASA shuttle but its tanks were not reusable.Again there is a “STOP” sign,in Russia. First! !, Looks like they have damaged the wings a little during transport…. The American Shuttle programme is also ending its life with the last scheduled mission with Discovery about to blast off. Probably it already did by the time this is read. Therefore the American Space Shuttles are also to become relics of the Space Age. Sod USSR and America when you are talking bout jet engines. Both the UK and Germany were the original pioneers, and the Americans only advanced because they stole the work and workers out of Germany. UK would have advanced but it was broke paying back US all the money it borrowed to fight the Germans – Cheers America. Then CONGRATS to the Russians for being able to steal plans from the US!!! Good job!